*For the ninth time in Grand Slam history, the Williams sisters will face each other for a championship title. 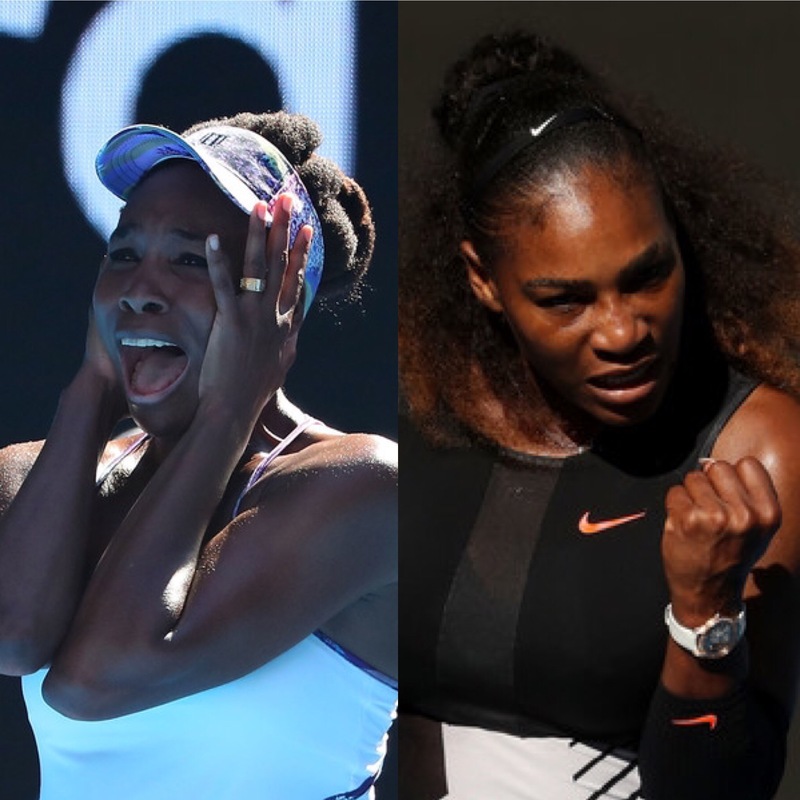 By winning their semifinal matches Thursday at the Australian Open, Venus and Serena booked a spot against each other on Saturday for all the marbles. This will be their 28th professional showdown overall, and 15th at a Grand Slam. The last all-Williams final came at Wimbledon in 2009, which also was Venus’ last major final. Her only other Australian Open final came in 2003. Venus, 36, was the first to earn her spot with a 6-7 (3), 6-2, 6-3 victory over fellow Californian Coco Vandeweghe — the only semifinalist younger than 30. Serena, 35, followed quickly, dominating the unseeded Mirjana Lucic-Baroni 6-2, 6-3 in a match that took just 50 minutes. While a win over Venus would give Serena 23 Grand Slam singles titles, pushing her one ahead of Steffi Graf and setting an Open-era record, a Venus victory would certainly give everyone the feels. Six years ago, Venus was diagnosed with Sjogren’s syndrome, a debilitating autoimmune disease that curtailed her ability to practice and train. The journey toward Saturday’s Finals was not lost on her after Thursday’s match point. Venus tossed her racket, did a celebratory 720-degree spin capped by a little dance, then broke down in laughter as her improbable accomplishment began to sink in. “Oh, my gosh, it means so much, mostly because she played so well,” Venus said in her on-court interview. Previous ArticleChild Allegedly Taped to Wall as Teen Mom Boasts on Facebook Live!